UNITED NATIONS, Aug. 13 (Xinhua) -- In an upsurge of violence in the Syrian civil war, more than 130 people were killed, including "many children" in three governorates over the weekend, the United Nations said on Monday. 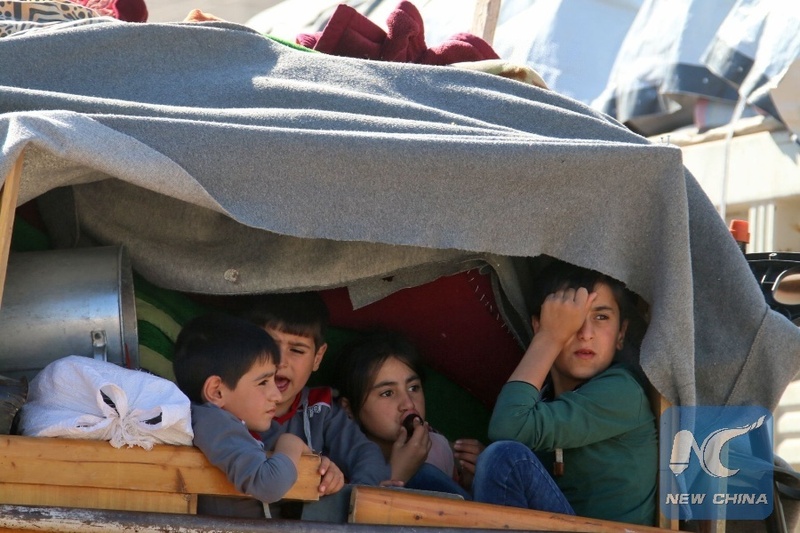 The Office for the Coordination of Humanitarian Affairs (OCHA), based at the UN Headquarters, said ongoing hostilities in northwestern Syria have killed at least 134 people, including many children, over the weekend in Idlib, Hama and Aleppo governorates. "At least 59 civilians were reportedly killed, 17 of them children, when a weapons and ammunition depot exploded in a residential building near Sarmada town in northern rural Idlib Governorate," UN Deputy Spokesman Farhan Haq told reporters at a regular briefing. The UN Children's Agency (UNICEF) counted "28 children were reported killed in Idlib and western Aleppo in northern Syria" in the last 36 hours, he said. "Three UNICEF-supported health facilities were attacked," Haq said. "Two of them - providing aid to women and children - are now out of service." Education authorities reportedly suspended all school activities in Khan Shaykun, Maarrat An Numan and Kafr Nobol in Idlib for three days due to hostilities," he said. "We remind all parties to the conflict of their obligation to protect all civilians and civilian objects, including schools and health facilities; and to allow safe, sustained and unimpeded humanitarian access to all in need in compliance with international humanitarian law," the deputy spokesman said.